Handicap accessible sign. Are you responsible for ADA compliance in your courthouse? DrummAdvocacy can help. DrummAdvocacy works in partnership with court administrators to design accommodations compliant with the ADA for qualified persons with disabilities. For many jurisdictions, applying the ADA to persons with invisible disabilities is a new concept. DrummAdvocacy will provide primary and secondary legal resources to solidly support your role in granting or denying accommodations for a litigant with disabilities. 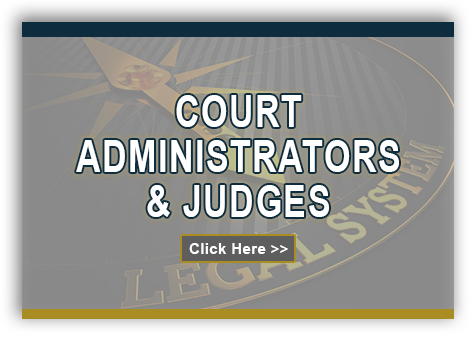 DrummAdvocacy is available for training court staff, attorneys and judges. You can read the full text of Equal Opportunity for Individuals with Disabilities (the Americans with Disabilities Act and its 2009 Amendments) here. See Sec. 12102 Definition of a disability - "physical and mental"
You can learn more about the Americans with Disabilities Act Title II Regulations Part 35 Non Discrimination on the Basis of Disability in State and Local Government Services here. II-3.2000 Denial of participation. The ADA, like other civil rights statutes, prohibits the denial of services or benefits on specified discriminatory grounds. Just as a government office cannot refuse to issue food stamps or other benefits to an individual on the basis of his or her race, it cannot refuse to provide benefits solely because an individual has a disability. A person who has a history of an impairment that substantially limited a major life activity but who has recovered from the impairment. Examples of individuals who have a history of an impairment are persons who have histories of mental or emotional illness, drug addiction, alcoholism, heart disease, or cancer. Persons who have been mis-classified as having an impairment. Examples include persons who have been erroneously diagnosed as mentally retarded or mentally ill.